After 35 years of extensive research into human behavior I have come to the conclusion that I am being deceived more then half the time by humanity. The economy is there to keep people rich and keep most poor. We do nto need bigger TVs or the newest phone for any reason. The court system is not there to protect the average citizen. Here is how to fight the lies. Spend time dancing, singing, laughing with others. 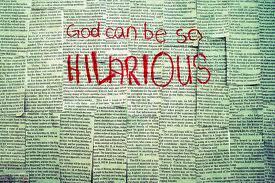 Ans remember when you laugh at God you laugh with God.